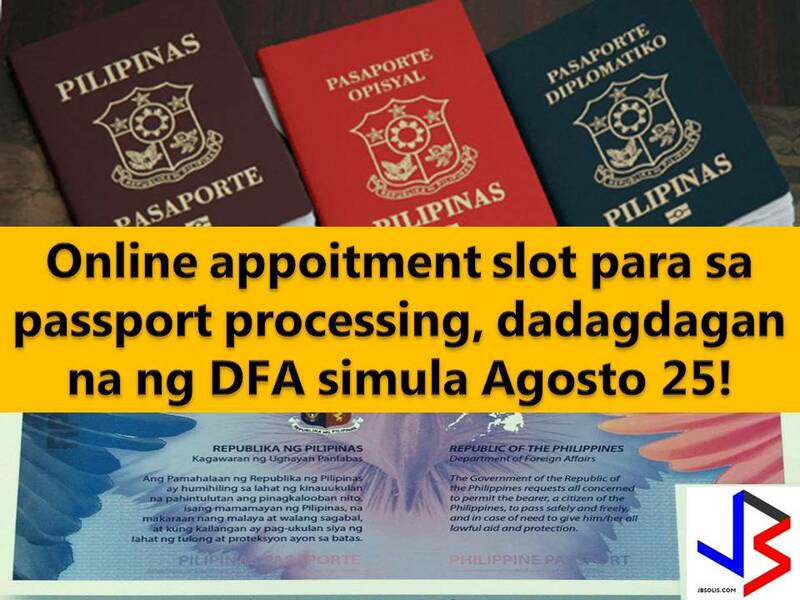 Getting an online appointment in Department of Foreign Affairs (DFA) is a big problem for many especially is traveling abroad is already scheduled. 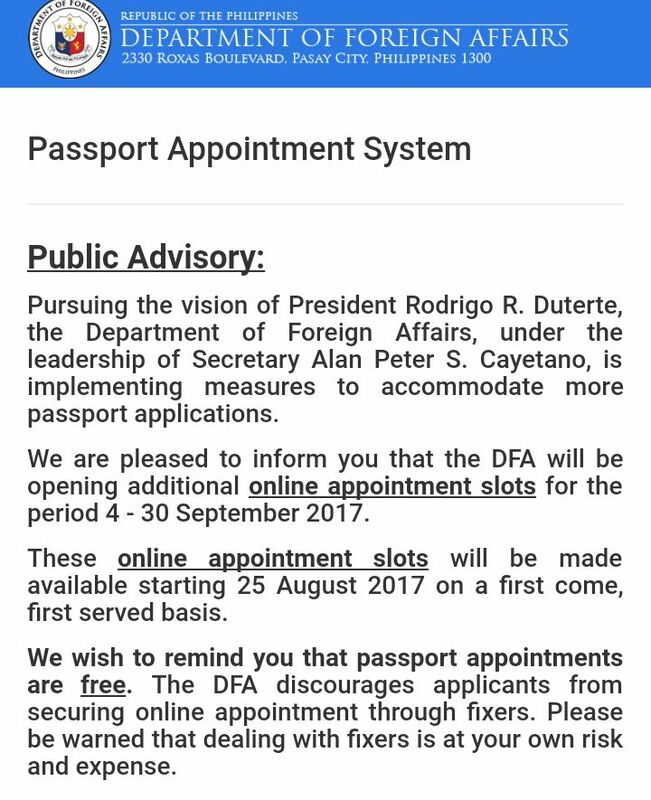 Many are complaining regarding fully-booked slots but consider this news as a good one, since DFA will be opening additional online appointment slots for the period of September 4-30, 2017. The online appointment slots will be a first come first served basis and will start on August 25. This is in relations to DFA’s aim to accommodate more passport applications. 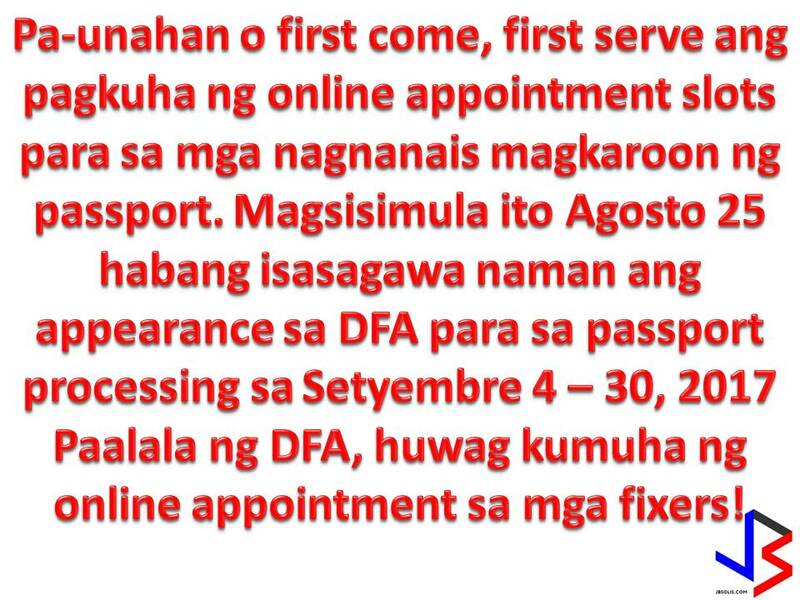 DFA tells passport applicant to avoid getting online appointments through fixers. It added that transacting with a fixer will be at applicants risk and expense. DFA is in the implementation of the 10-year validity of Philippines after President Rodrigo Duterte signed the Republic Act 10928, amending Section 10 of RA 8239 or the Philippine Passport Act of 1996. Passport will be valid for 10 years however individuals under 18 years old shall be issued passport with only five years validity. Overseas Filipino Workers (OFWs) with a valid employment contract or Overseas Employment Certificate (OEC) need no confirmed online appointment since there are a courtesy lanes for exclusive use of OFWs in DFA consular offices nationwide. Read: Attention OFWs: Never Use Your Passport for this Reason!